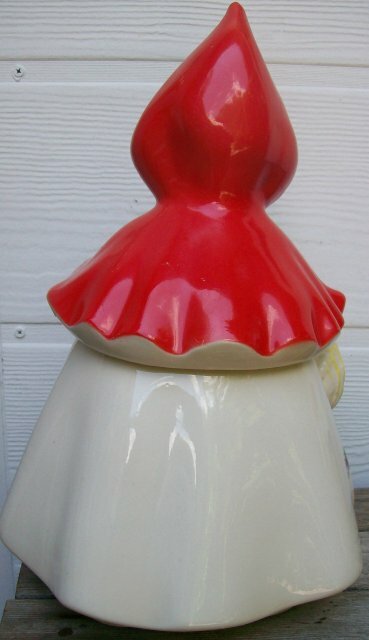 "Little Red Riding Hood" cookie jar made by Hull, decorated by Regal China in the 1940's. 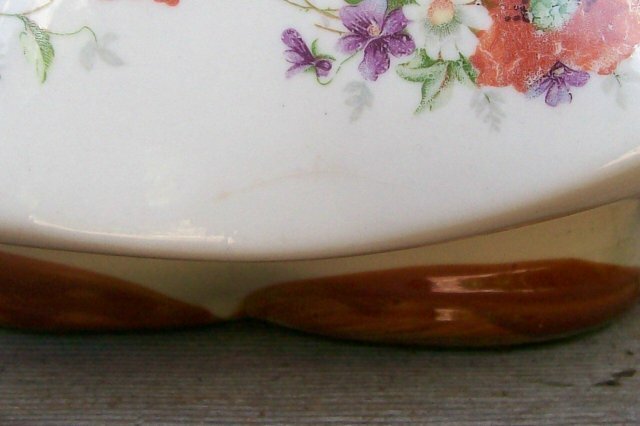 Closed basket; small poppy border. Sweet expression to face. Gold trim. Stands 13"h. Has a 1" hairline at the front of her skirt that's very hard to see; stains on inside bottom of jar, that bleed through to the outside foot. 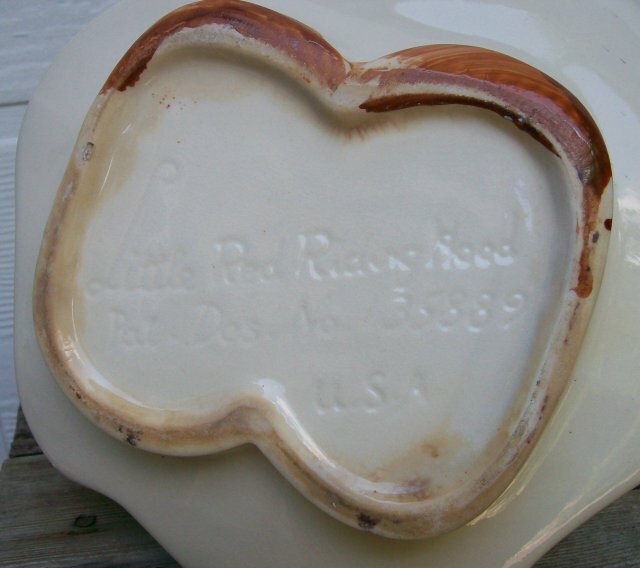 The outside appearance of the piece is not compromised, and displays well. Sold as is. Inglenook Antiques...Established 1989. 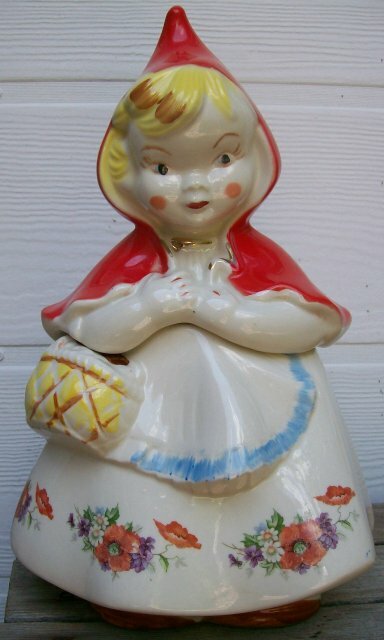 Items Similar To ""Little Red Riding Hood" Cookie Jar Hull / Regal China 1940s"